A novelty Christmas present for the a model railway enthusiast. Before the introduction of engines, boats were pulled by horses and sometimes mules or pairs of donkeys. Almost all breeds of horse were used, but large horses were not always suited because of some of the lower bridges on some narrow canals. Once motor boats were introduced the most common combination of working boats on the canals came to be a pair, a powered motorboat pulling an unpowered buttyboat. As far as I am concerned it's each to his own after all we should all be railway modellers in our own way and respect those that may not agree with us. 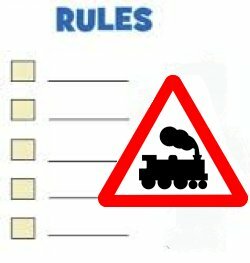 So you are thinking about setting up a model railway? It is surprising how many do at one time or another. 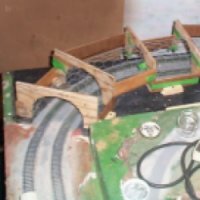 The purpose of this article is to give an insight how a model railway can be built, and to explain what you need to think about. Gauge is the distance between the inner sides of the two parallel rails that make up the railway track. With the earlier 3 rail systems you use the outer rails. 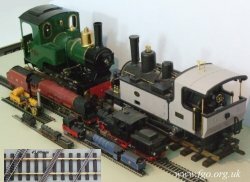 Scale is the size of the model compared the actual 'real life' locomotive.